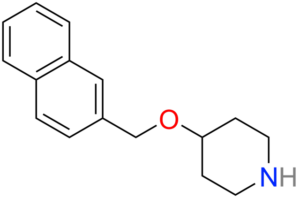 Litoxetine (IXA-001) is a selective serotonin (5-HT) reuptake inhibitor (SSRI) and mixed serotonin agonist-antagonist. SSRIs affect the chemicals that nerves in the central nervous system use to send messages to one another. These chemical messengers, called neurotransmitters, are released by one nerve and taken up by other nerves. Neurotransmitters that are not taken up by other nerves are taken up by the same nerves that released them. This process is termed « reuptake. » SSRIs work by inhibiting the reuptake of serotonin, an action that allows more serotonin to be available to be taken up by other nerves. In addition to these effects, Litoxetine has a direct agonist or antagonist effect on specific subtypes of serotonin receptors which makes it particularly appropriate for treating continence dysfunctions. Scientific data suggests that serotonin is involved in the control of micturition and continence, and this study explores if the specific actions of Litoxetine on the serotoninergic system can improve urinary continence. March 2017 – Ixaltis launched its first phase II clinical study with Litoxetine, in EU (France, UK and Poland), Canada, Georgia and Ukraine. The study includes 240 Female subjects aged 18 to 75 years suffering from mixed Urinary Incontinence, a condition for which there is no approved successful treatment. Efficacy of the treatment is assessed by reduction in numbers of urinary incontinence episodes, the change in Patient Perception of Bladder Condition (PPBC), and the Patient Global Impression of Improvement (PGI-I questionnaires, as well as other). The safety and tolerance of Litoxetine compared to placebo are also estimated. If successful, this study will pave the way for further development of Litoxetine, with the ultimate goal to bring the first medical treatment to patients suffering from mixed Urinary Incontinence.